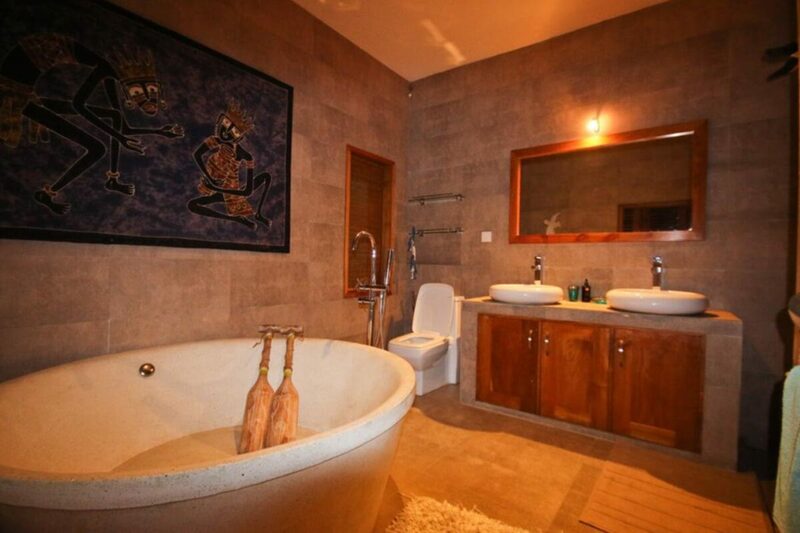 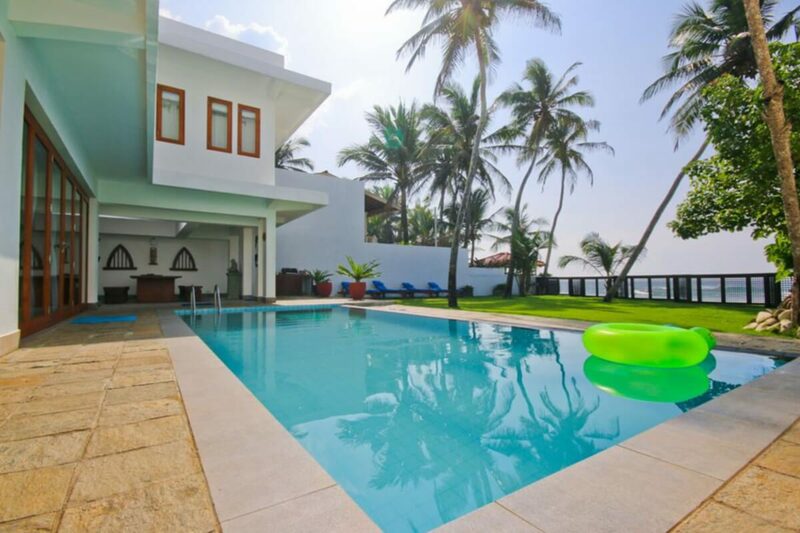 Footprints Villa is a new state of the art luxury 5 bedroom villa, finished to the highest Western standards. 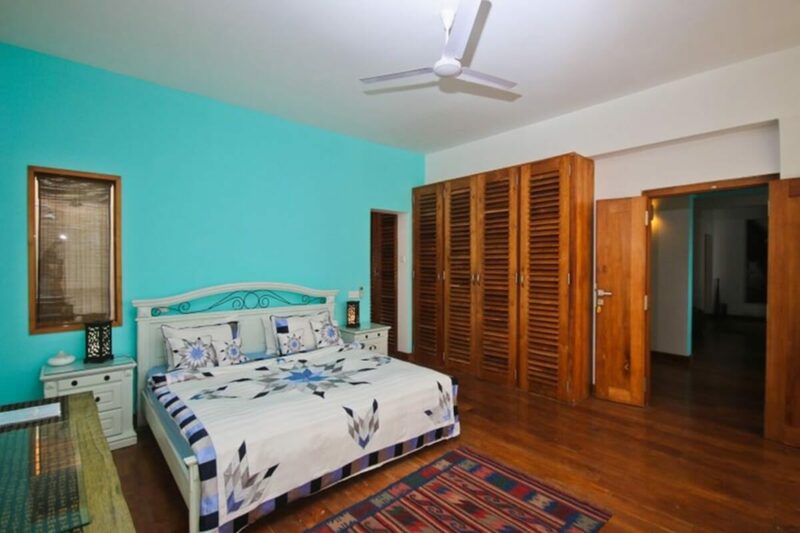 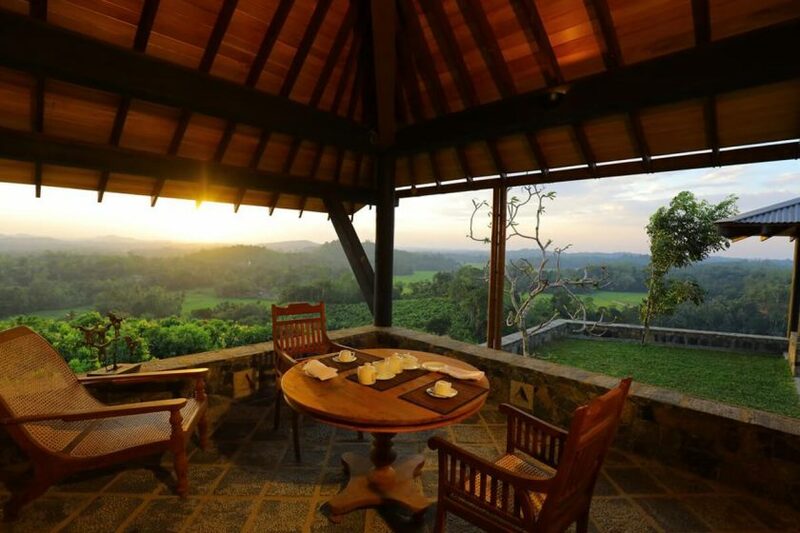 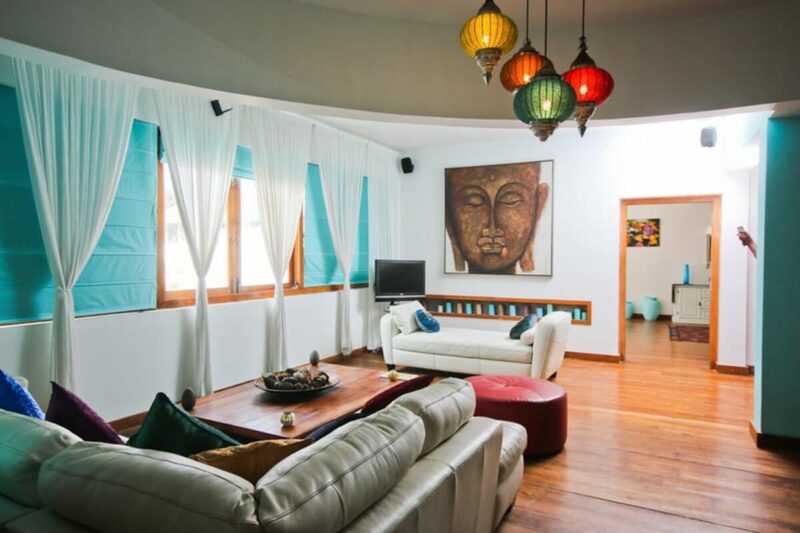 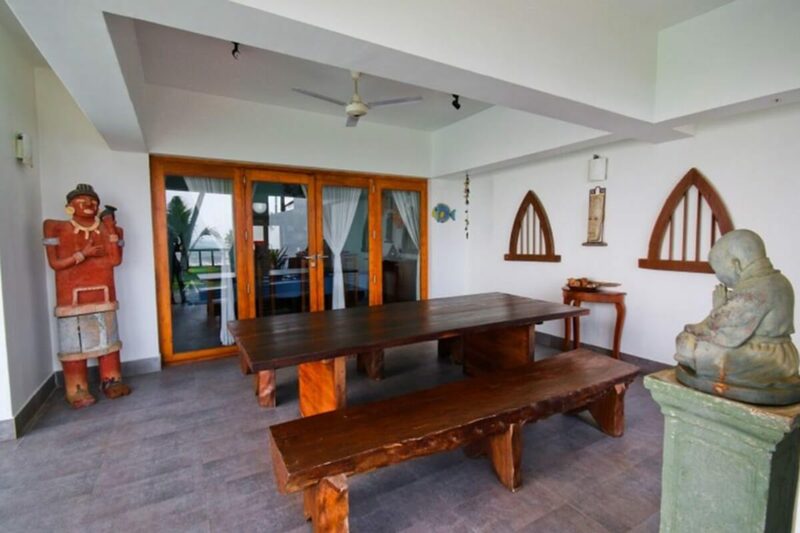 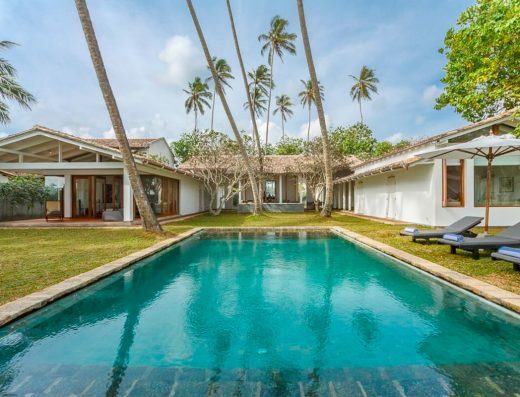 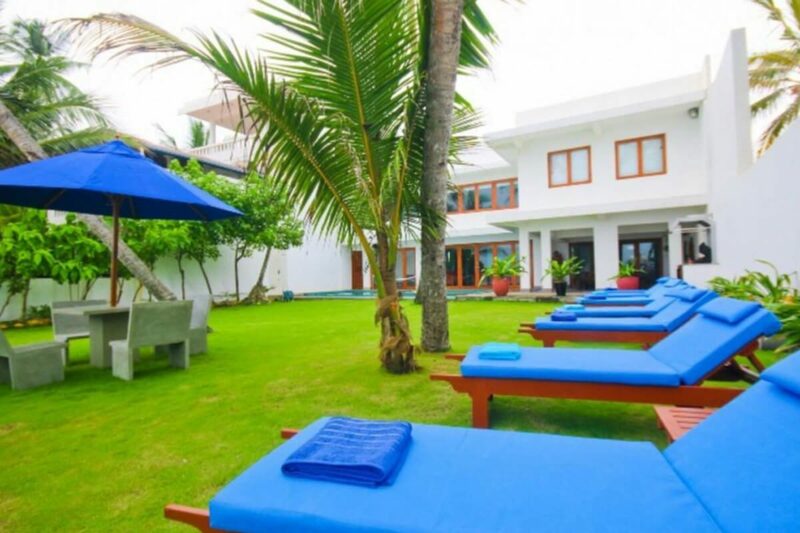 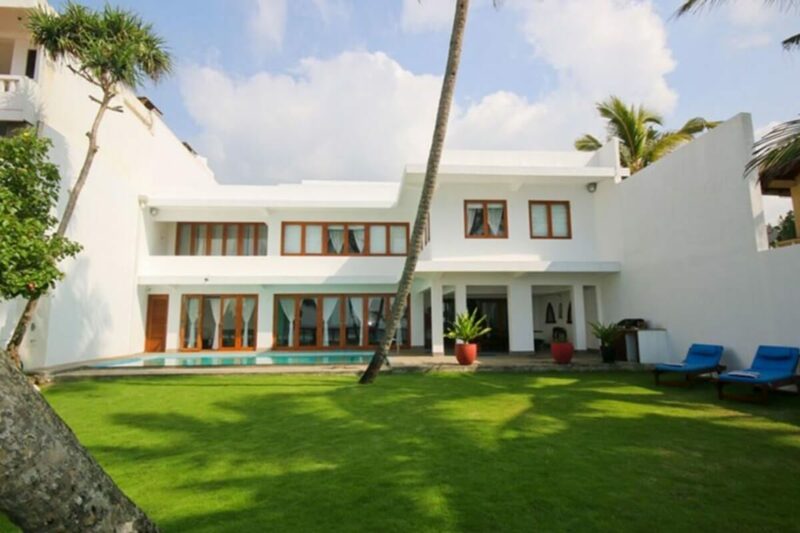 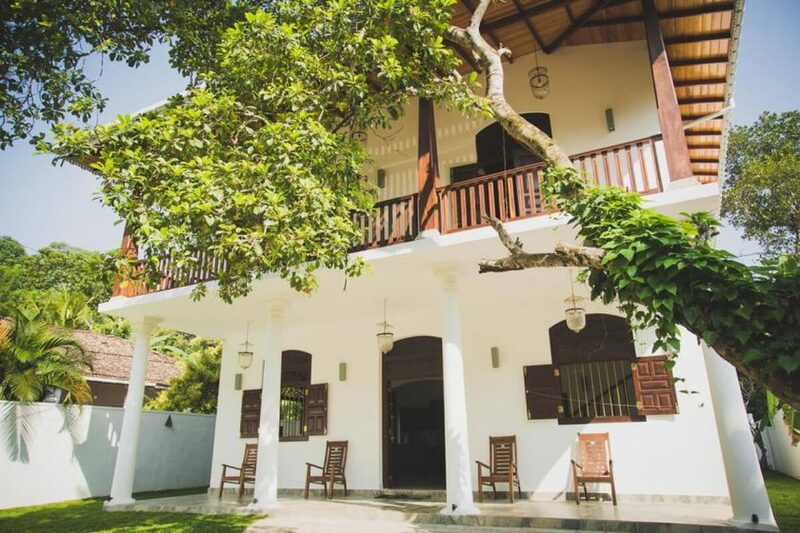 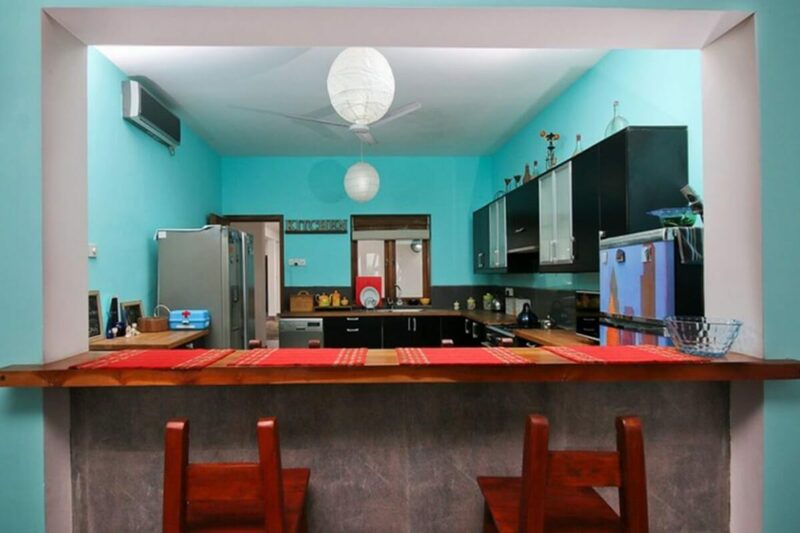 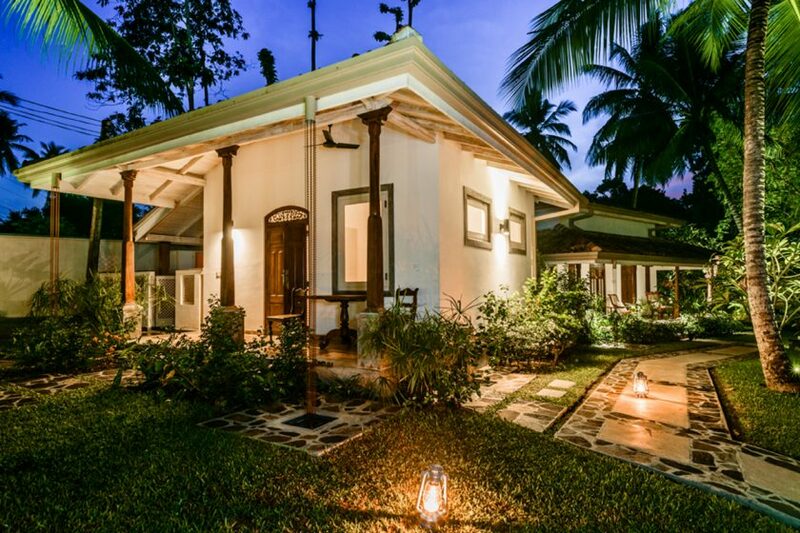 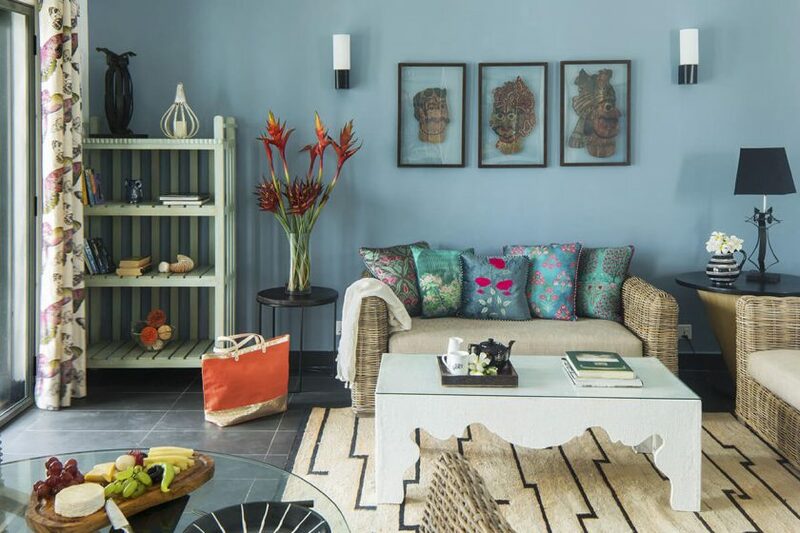 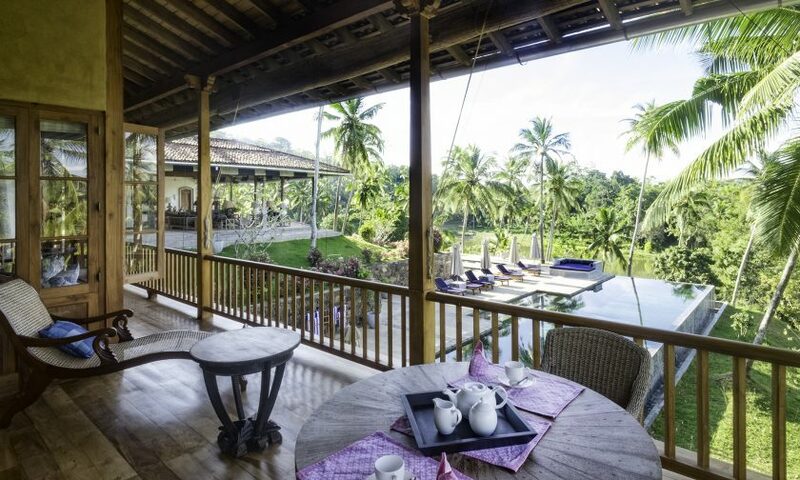 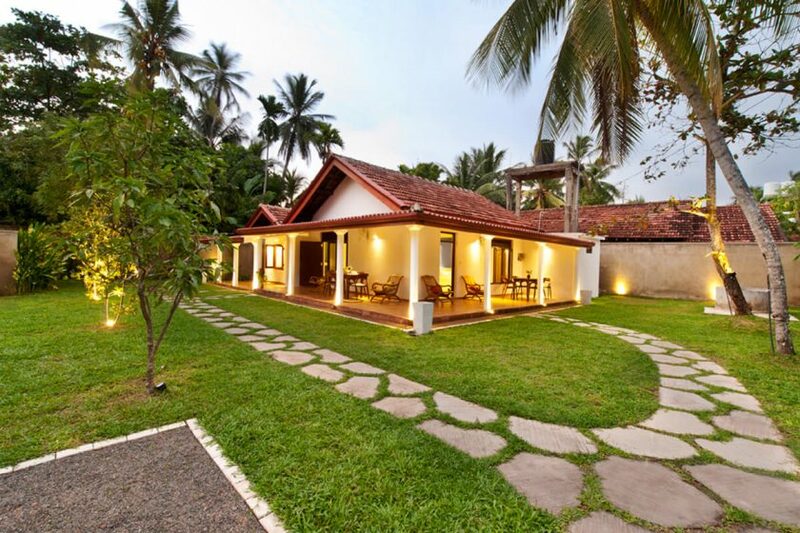 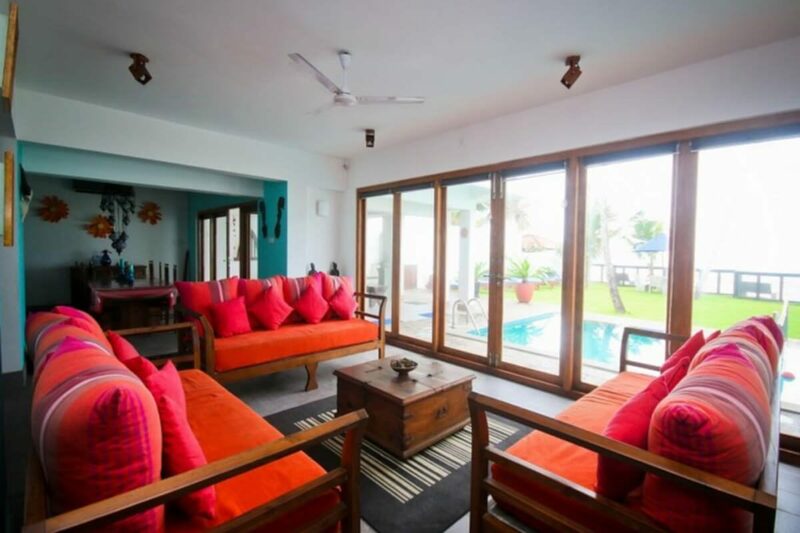 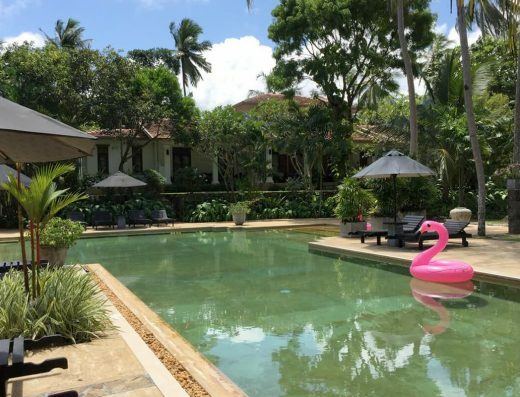 This extremely spacious villa is situated on one of Sri Lanka’s most famous beaches in Thalpe, just ten minutes drive from Galle Fort, in the south of the island. 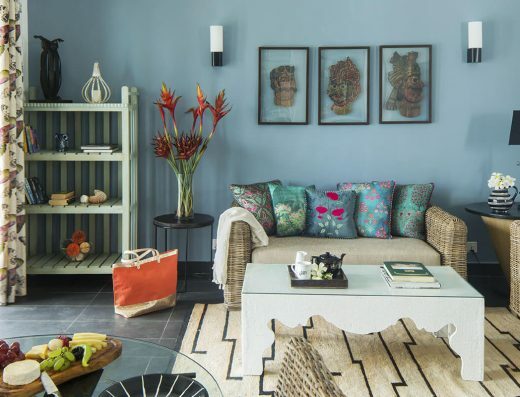 A footprint is a luxurious property designed in a contemporary style allowing visitors to enjoy tropical living at its best. 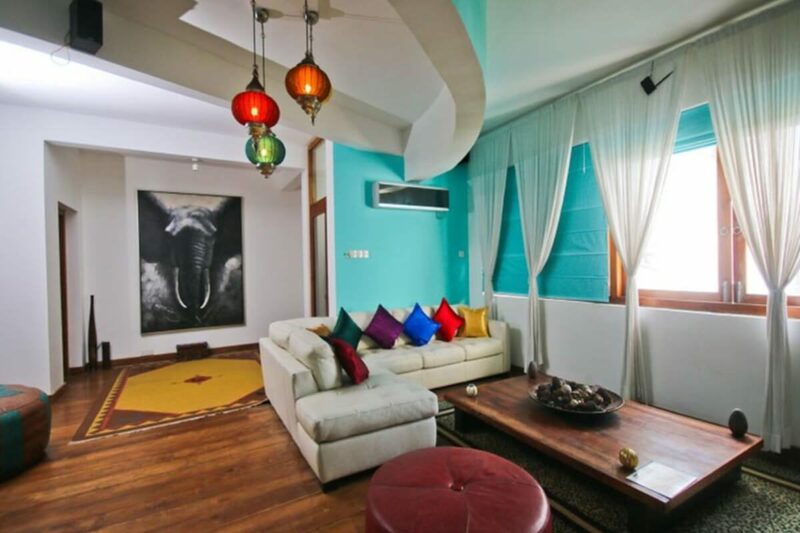 The ground floor consists of a huge open-plan living and dining space comfortably furnished to impeccable standards. 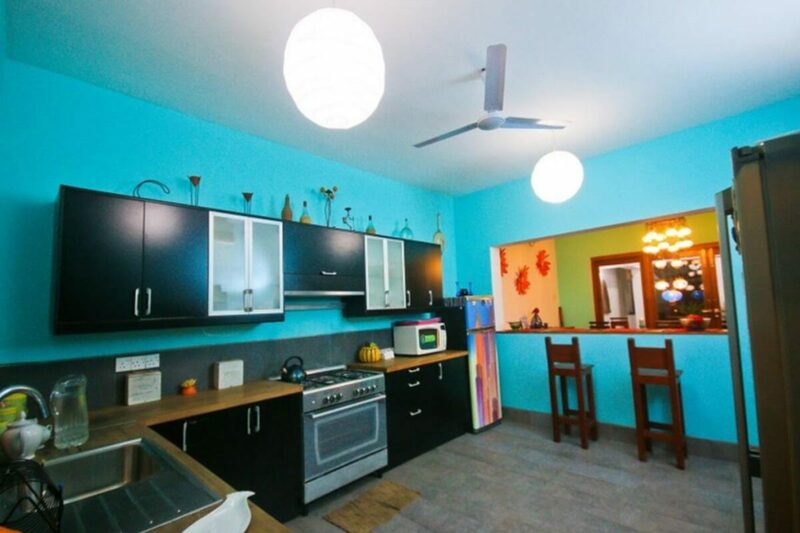 It has a modern kitchen complete with dish washer, fridge, freezer and cooking equipment. 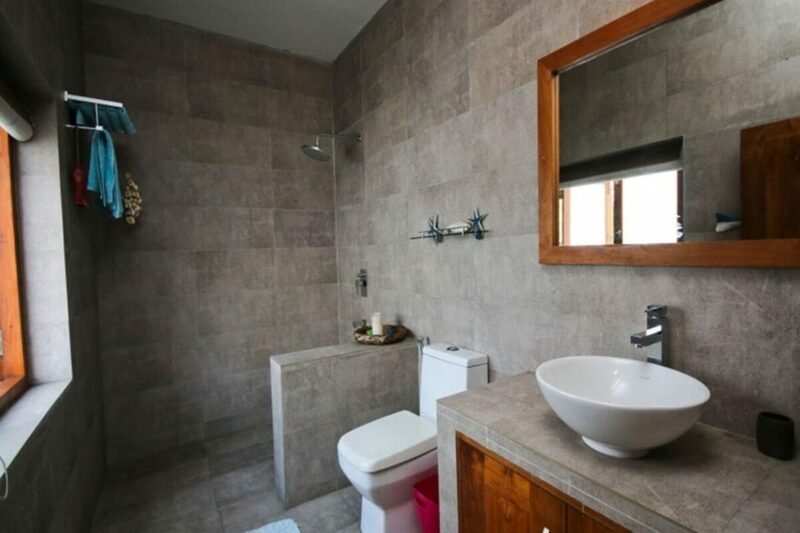 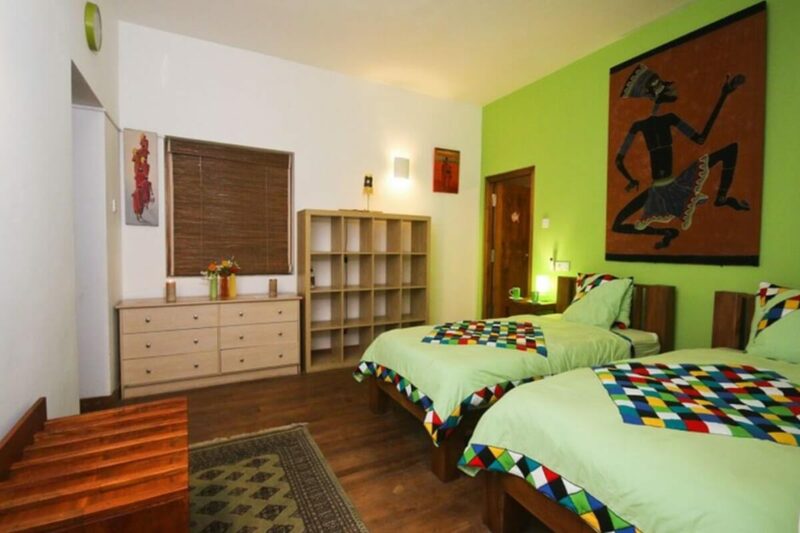 On this floor you will also find a TV and games room, as well as a powder room. 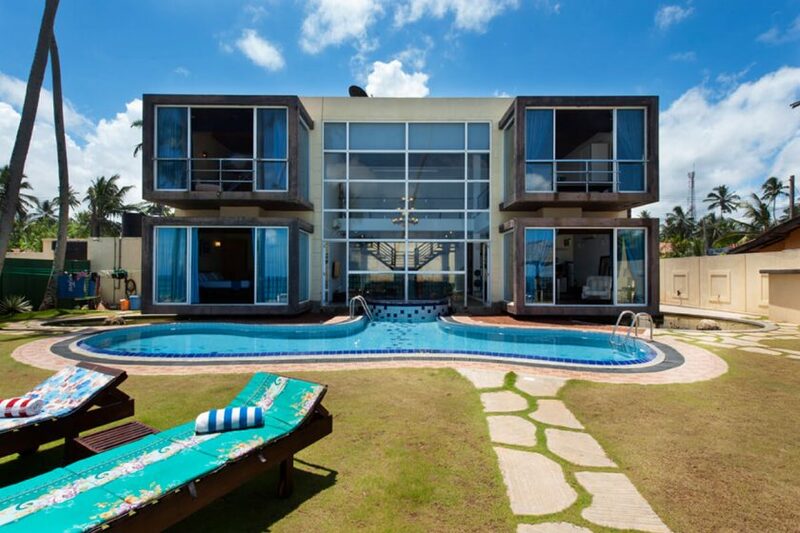 The glass fronted living room leads to the swimming pool, outdoor dining terrace and garden. 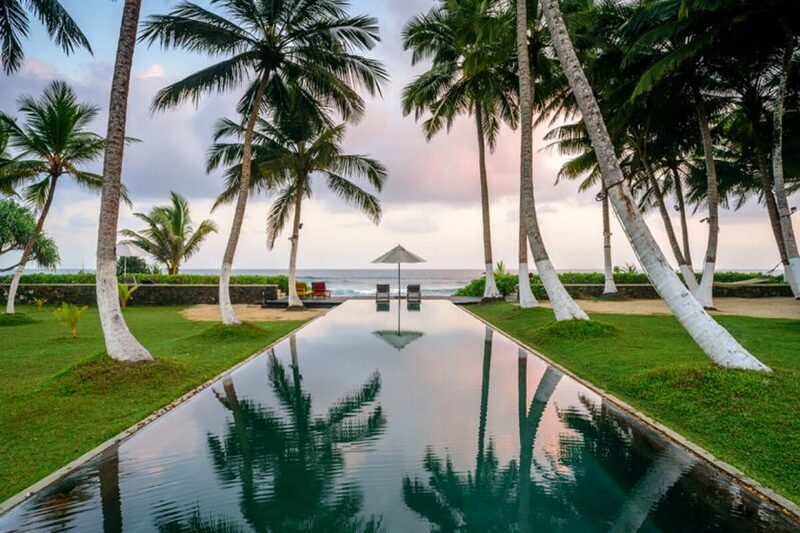 Take a few short steps and you will find yourself on a stunning tropical beach. 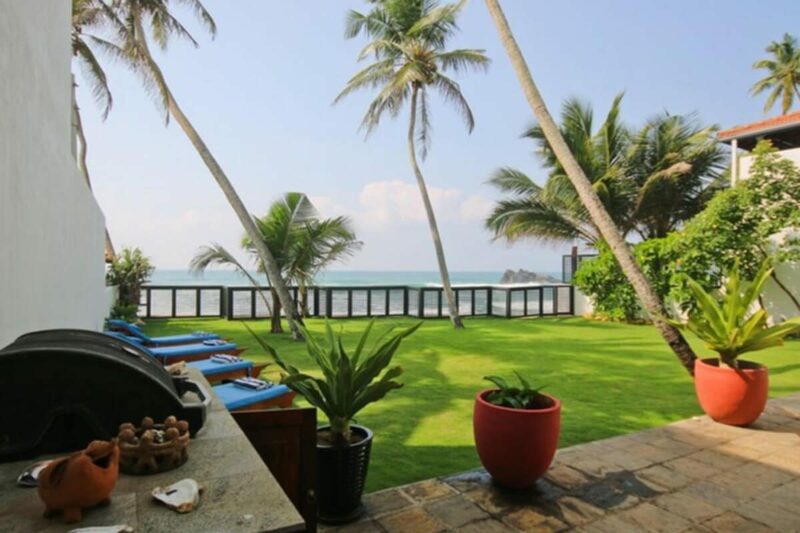 Just a 100m walk down the beach you will find a natural rock pool where many of the residents have enjoyed a quiet time in the sea. 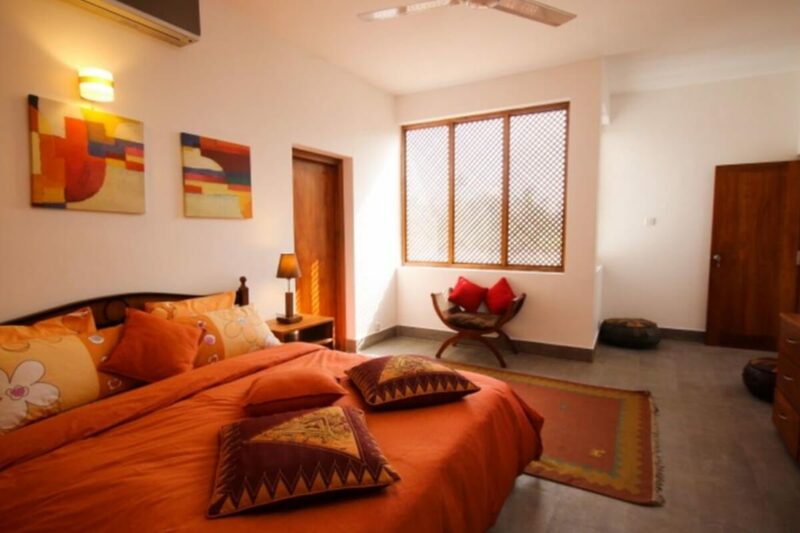 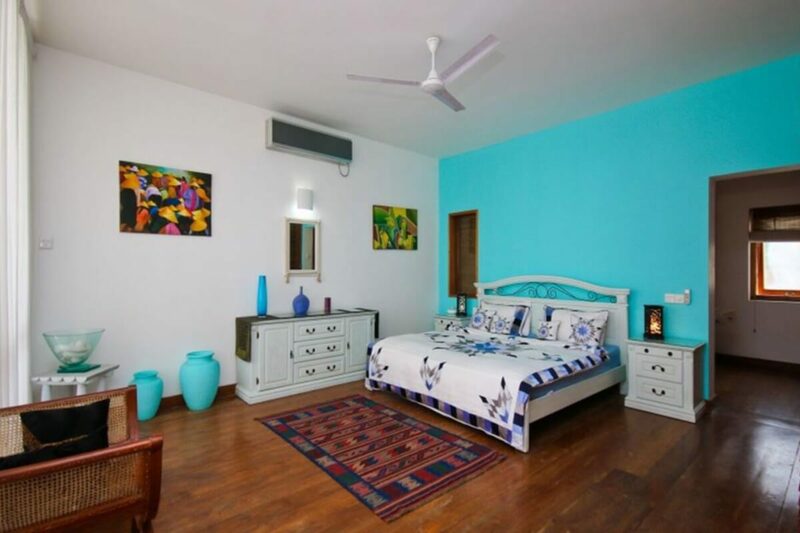 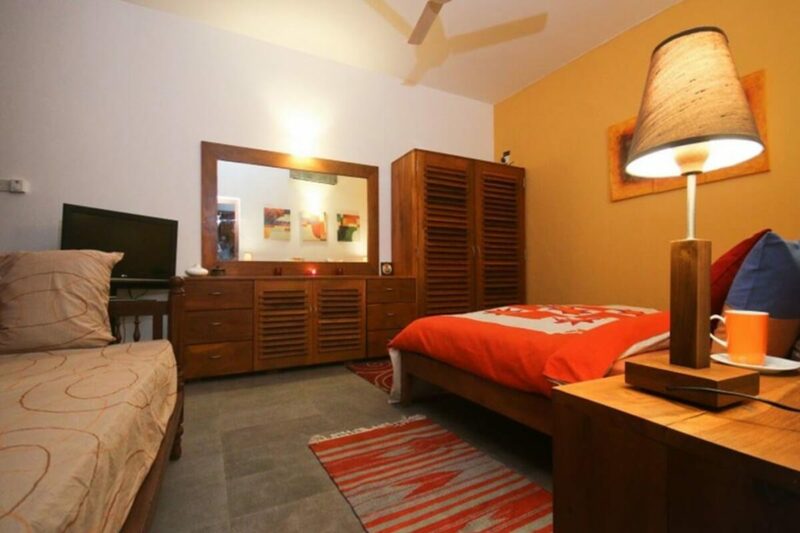 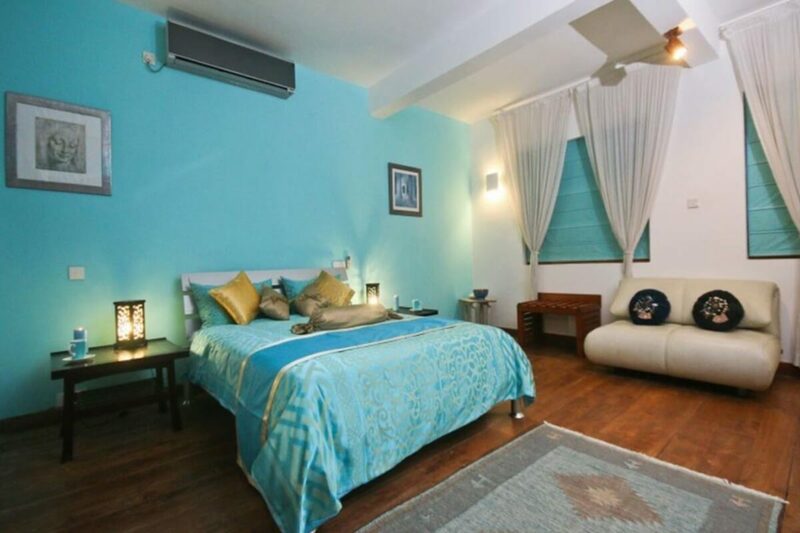 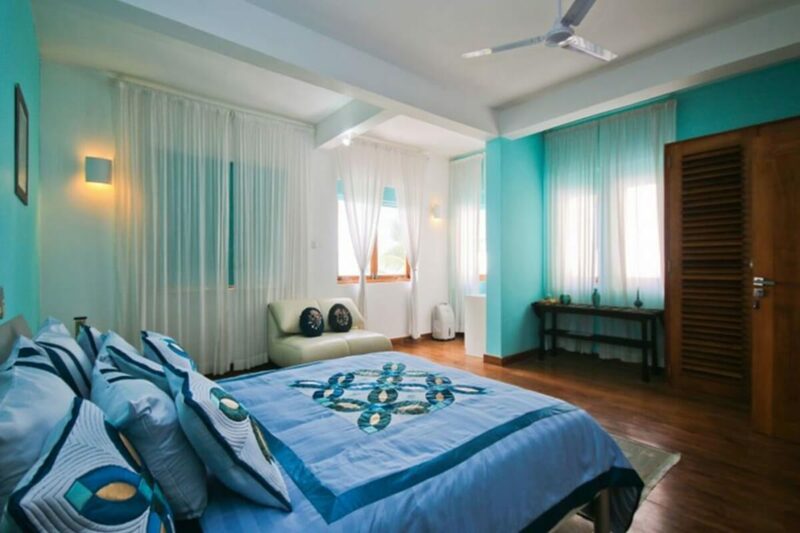 Footprints Villa has five luxury suites which are Master, Blue Ocean, Purple Heather, Sunset Orange with king sized beds & Lime Tree with twin beds. 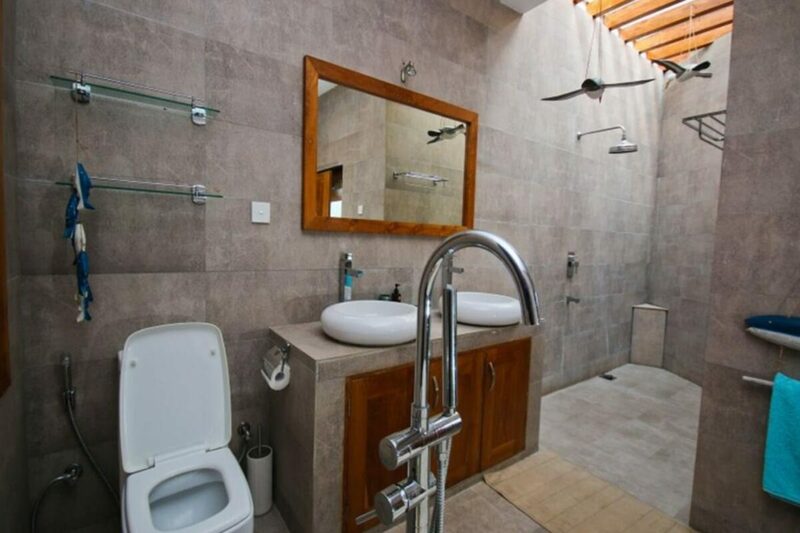 5 big bath rooms & powder room at living area, Master bed room with teacup bath and a massive walk-in rain shower, complete with glass roof. 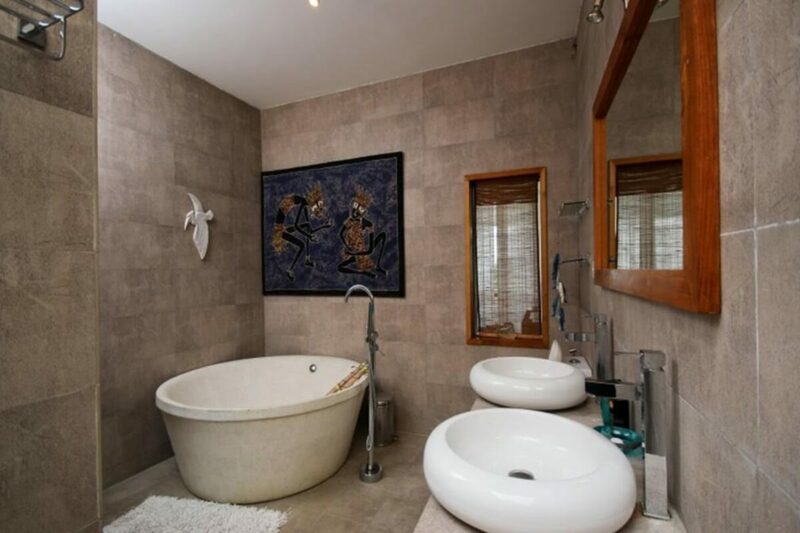 All bath room fittings are imported and finished to the western standard.